I have some exciting news...I have been busily working on a secret project that is finally able to be shared! 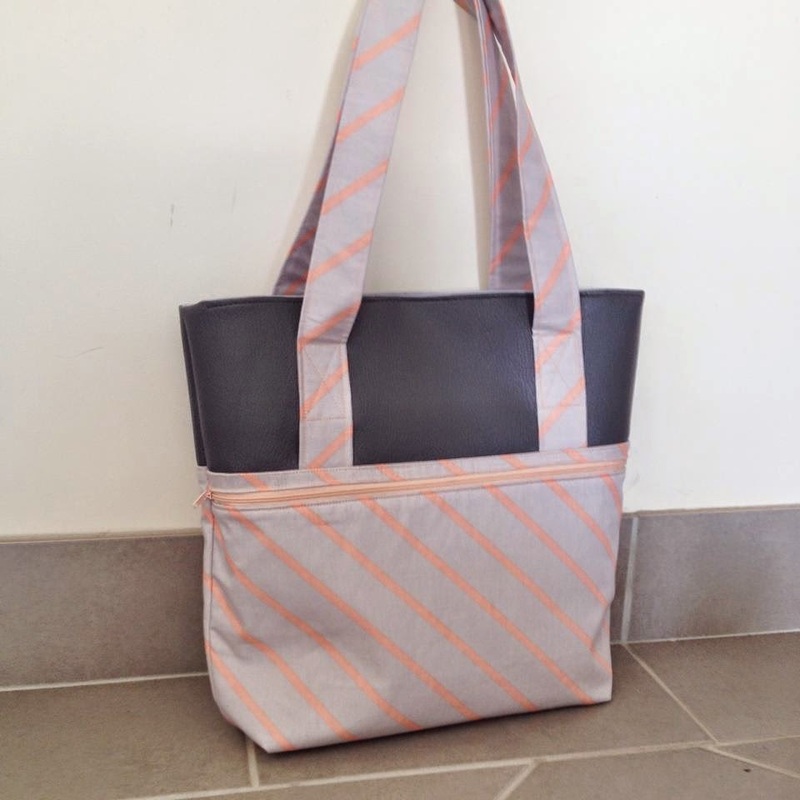 It's not just any tote bag though...this is "The Everyday Tote Bag"
The Everyday Tote Bag is a great day bag with a large main pocket that has a magnetic snap closure. 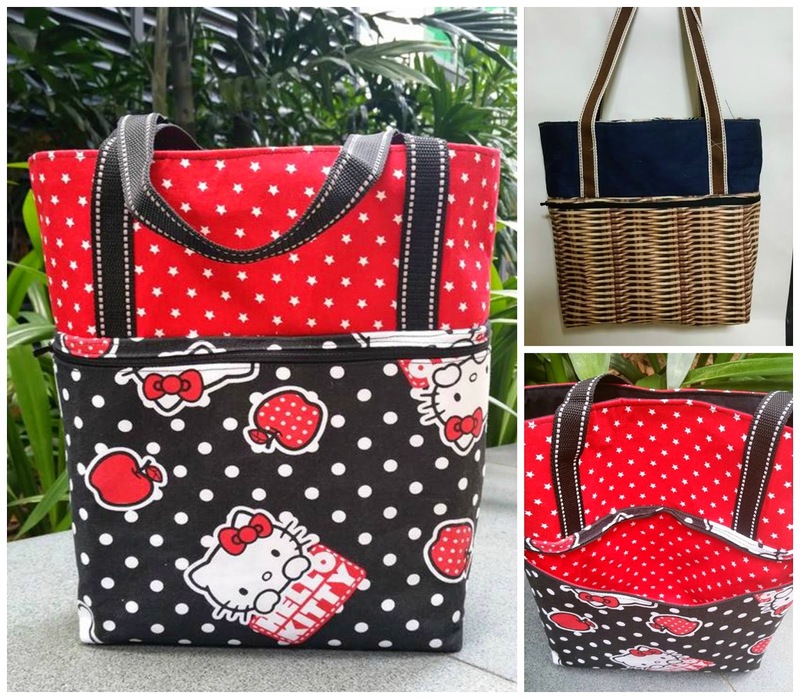 The bag also has many pockets to keep everything in their place; it has 2 zip pockets (one large – external – and one small – internal) and a divided slip pocket for your phone or keys. 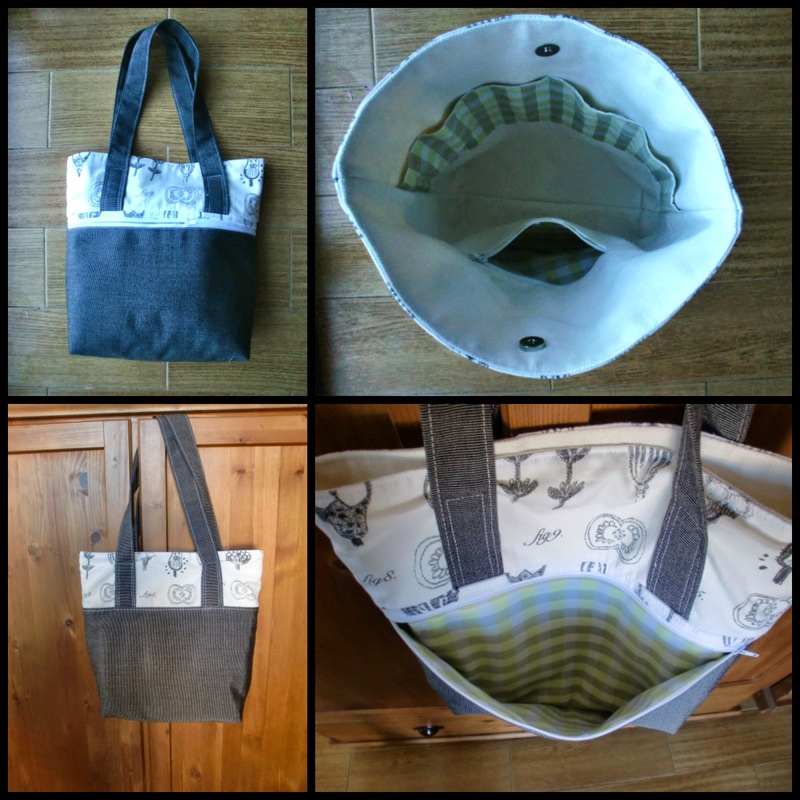 The finished size of the Everyday Tote Bag measures approximately 11” tall x 13” wide x 3 1/2” deep (28cm x 33cm x 9cm). 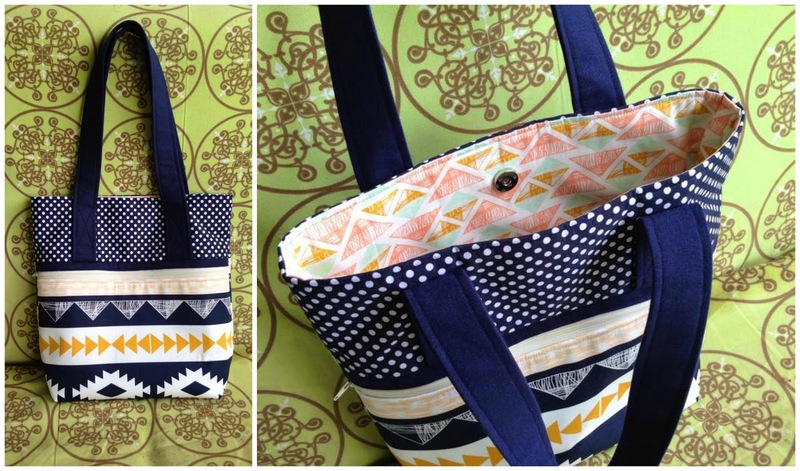 If you include the drop of the handles, the hight of the bag is 22” tall (56cm). 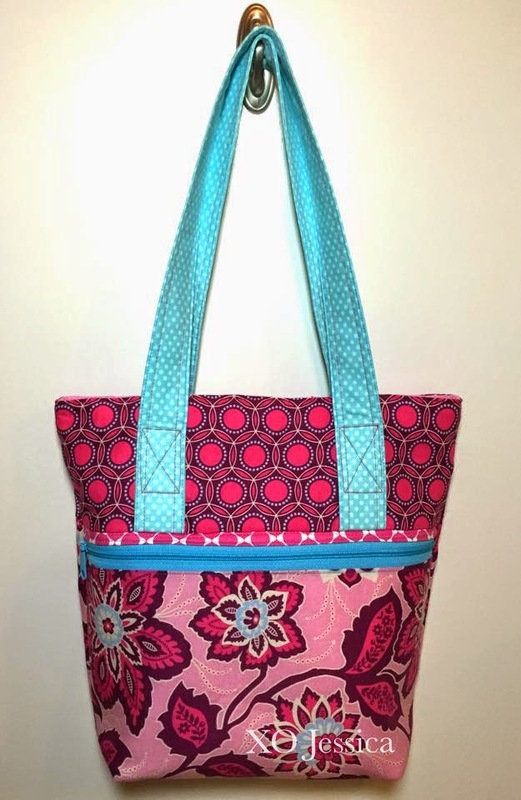 Danielle from Paisley Avenue, made this beautiful version using Arizona fabrics. Danille can also be found on IG. 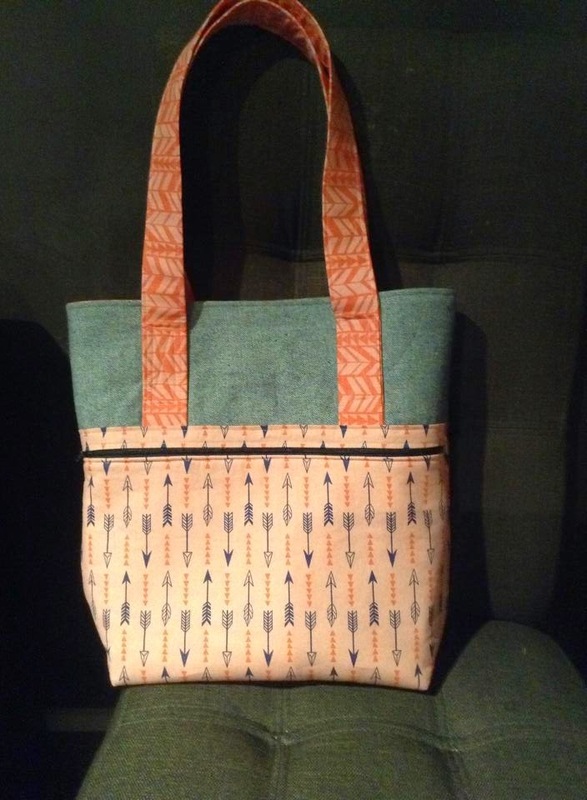 Katie made this beautiful everyday tote. 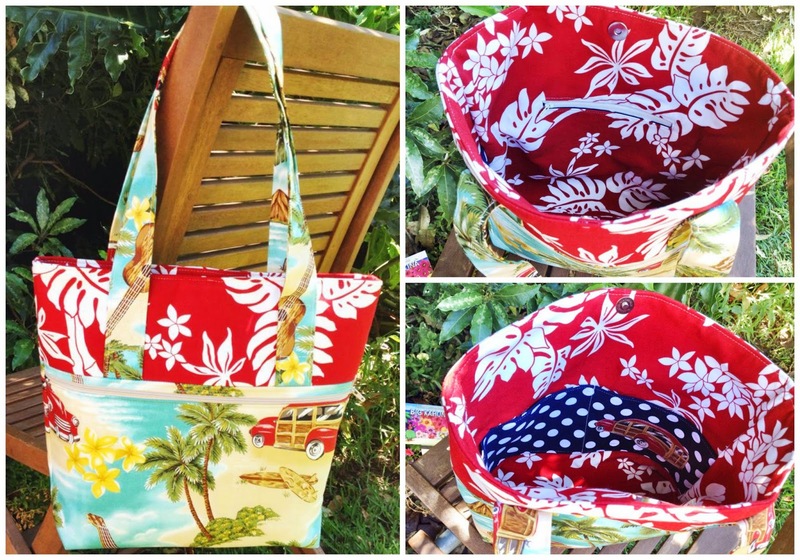 Jacquie from Pebble Lane Studio, made this fun summer version. I love the applique she added to the interior slip pocket! You can also find Jacquie on IG. Jessica from XOJessica made this beautiful version. Jessica can also be found on Facebook. Maria can be found here and on Pinterest. And Maria wanted you all to know what she thought of the bag..."I looooove the bag. It's perfect for my needs: not too big, not too small. 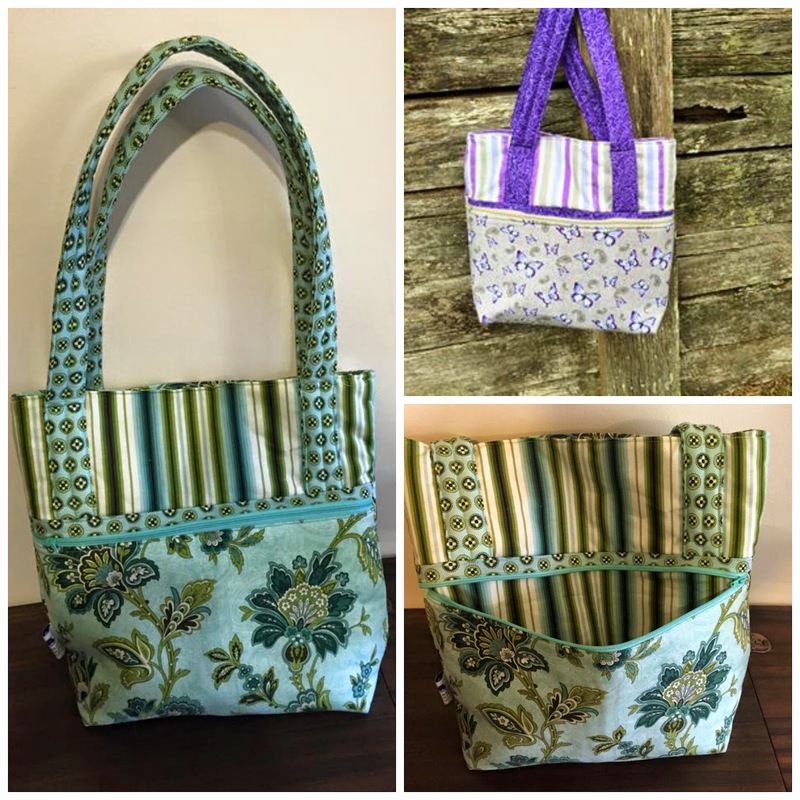 Also love the method you use to sew the slip pocket, so simple and so fast!" 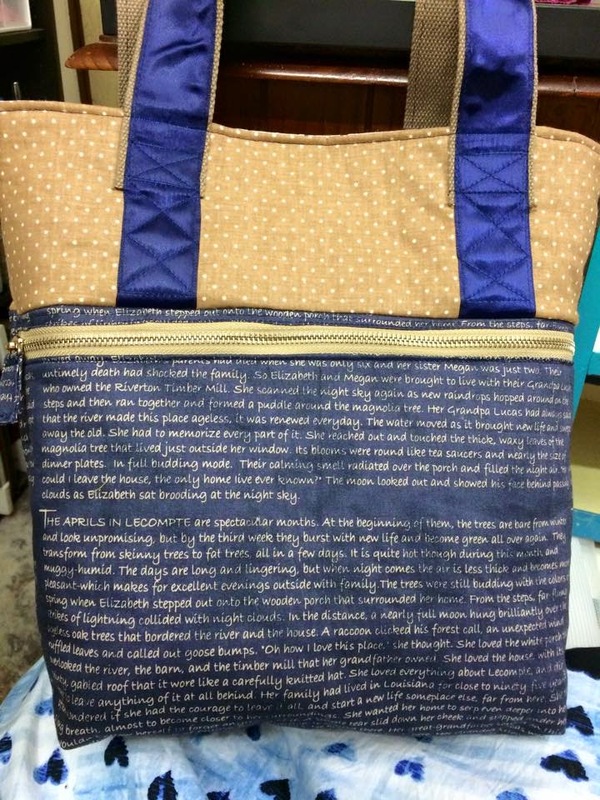 Anna used some very cool fabric for the bottom of one of her bag's, it looks like a weaved basket (top right)! And who doesn't love Hello Kitty?! 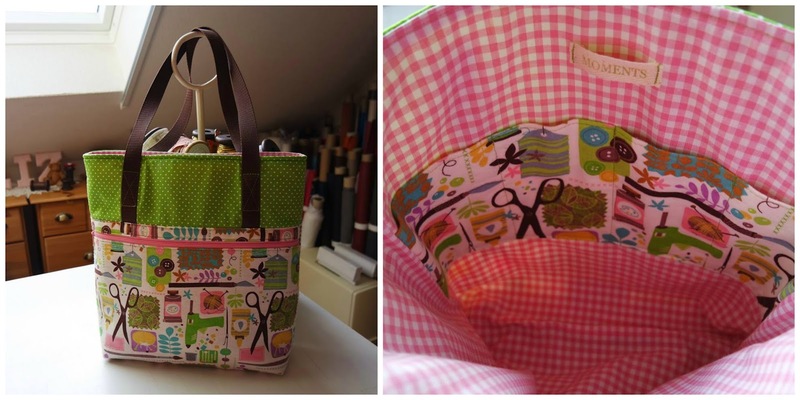 Simone made her test bag for her son and she turned it into a library bag for him! 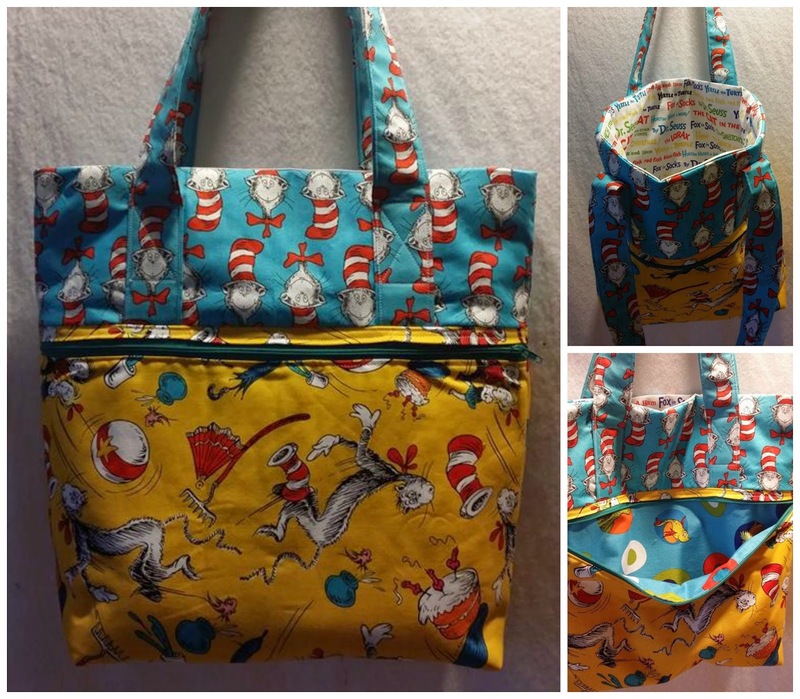 The cat in the hat is a favourite in this house, so I'm sure he will love it! Deidre made this beautiful version :) I love the purple! And if you are worried about how much will fit in this bag...don't! My testers have filled their bags to the brim! 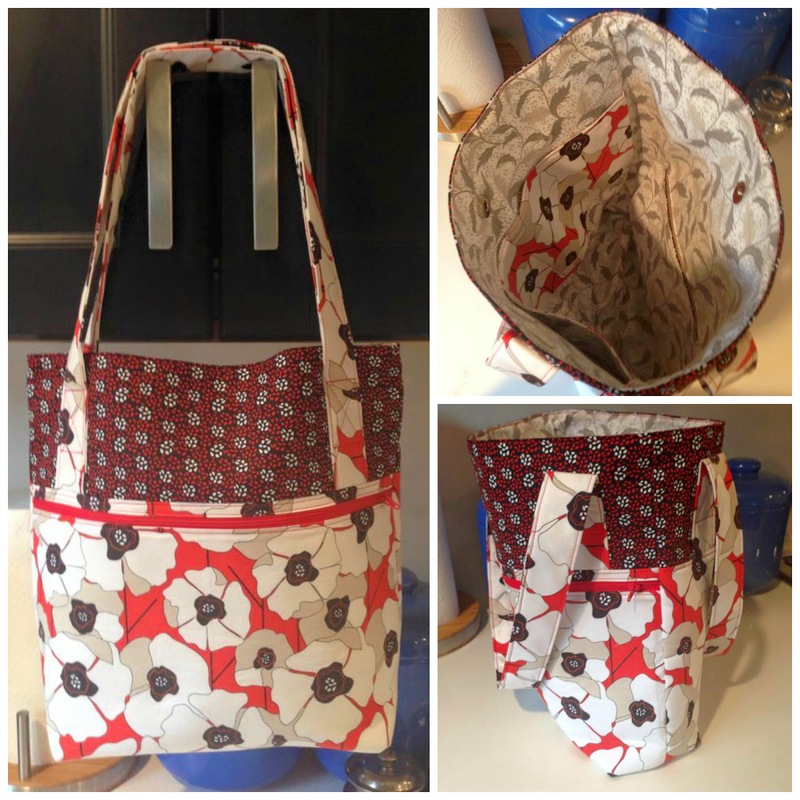 If you what to make your own Everyday Tote Bag, you can purchase the pattern from my shop, Etsy or Craftsy. 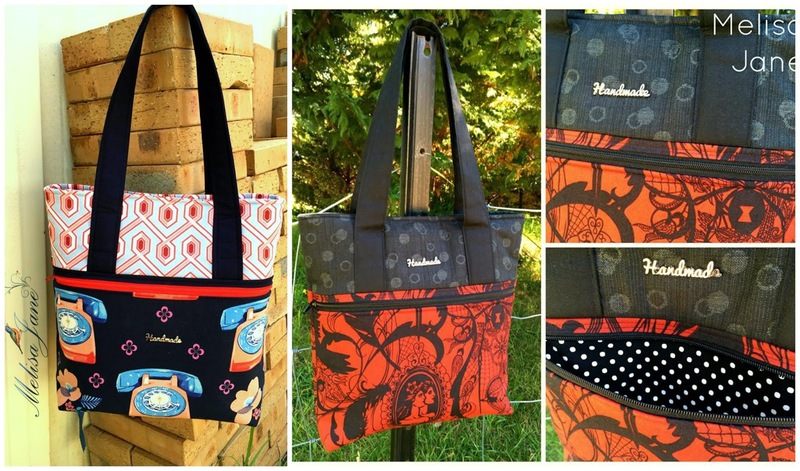 I can't wait to see all your bags made with my pattern very soon! 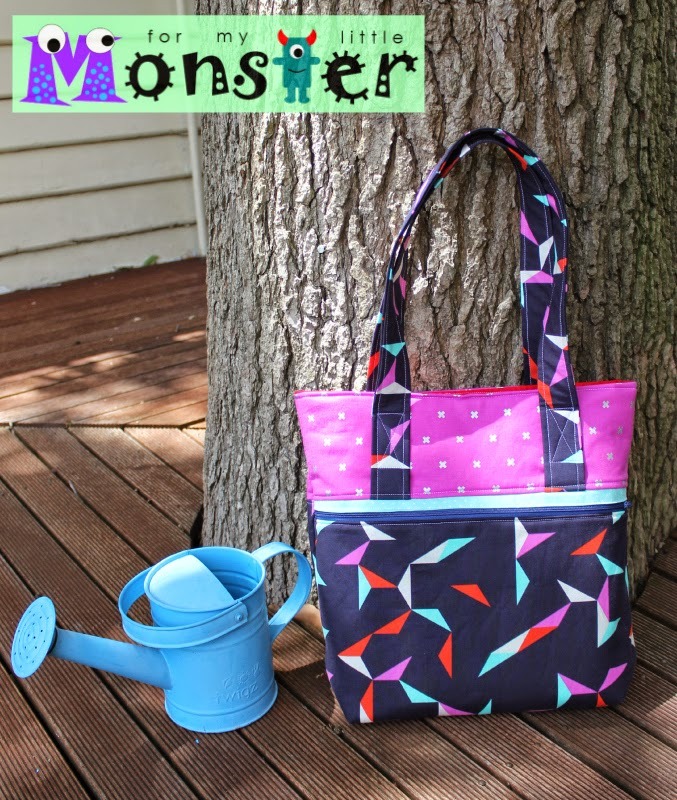 Congratulations on writing the pattern for that great bag, Emma! Your testers sure did a wonderful job of showing off some real beauties. 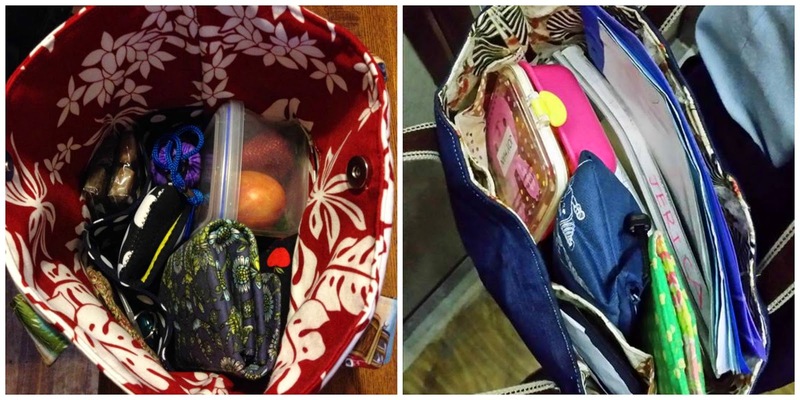 It's nice to see all the pockets and features of this everyday bag. Nice work! I love the bag. It looks very practical. Congratulations on your first pattern! Love it, great work, you've inspired me to try one of my own! Congrats on writing your first pattern, Emma. 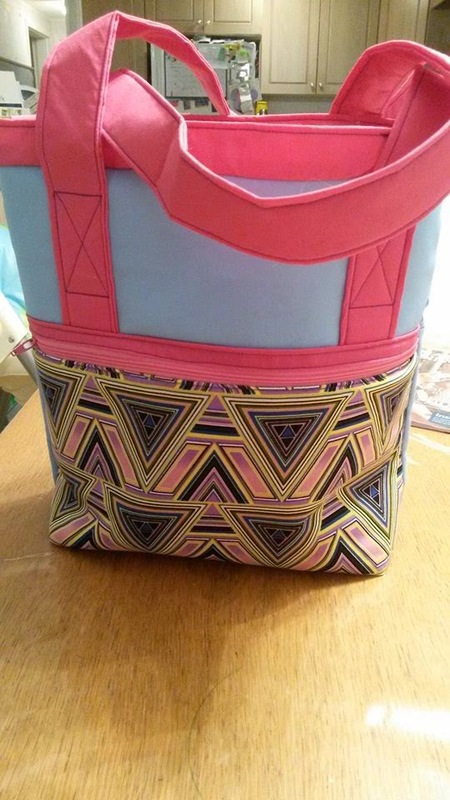 The style of the bag is fabulous, especially with the outside pocket.